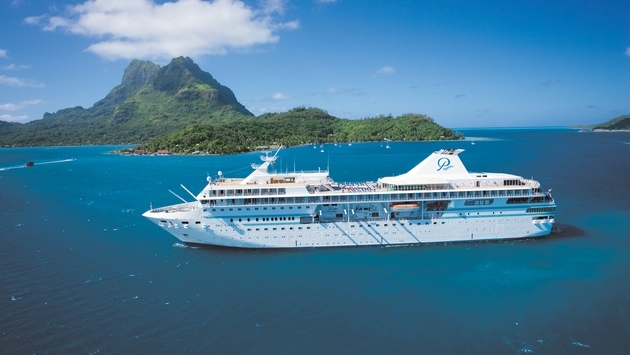 Paul Gauguin Cruises, operator of the m/s Paul Gauguin, announces a Two-Week Sale on select 2017 and 2018 Tahiti, French Polynesia, and South Pacific voyages. 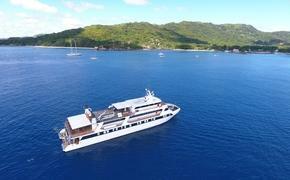 The m/s Paul Gauguin is the highest-rated and longest continually sailing luxury cruise ship in the South Pacific. Paul Gauguin Cruises is offering savings of up to $3,650* per person off select luxury voyages aboard The Gauguin when booked between August 7 and 19, 2017. Roundtrip airfare between Los Angeles and Papeete, Tahiti is also included. Guests will enjoy the highest standards of luxury, quality, and all-inclusive value onboard. On The Gauguin, nearly 70 percent of suites and staterooms offer balconies. Dining experiences include L’Etoile, which showcases an array of culinary creations expertly prepared each evening. The ship’s other two dining venues, La Veranda and Le Grill, serve breakfast and lunch. Signature dishes from chef Jean-Pierre Vigato, world-renowned Chef Propriétaire of the Michelin-rated Restaurant Apicius in Paris, are offered at night in La Veranda. Additionally, Polynesian specialties are served poolside at Le Grill, and 24-hour room service is included in the fare. Les Gauguines and Les Gauguins—a troupe of Tahitian entertainers—provide enriching experiences of the destinations throughout each voyage. The Gauguin features expert lectures, and special guests on select sailings conduct presentations ranging from the history of the South Pacific to conservation, culture, marine life, and the wonders of coral reefs. A luxurious spa, fitness center, water sports marina, and expansive outdoor decks with chaise lounges and a pool are also available aboard The Gauguin. One of the highlights of each sailing is exclusive access to Motu Mahana, the cruise line’s private islet off the coast of Taha’a. Here guests can enjoy sunbathing, swimming, snorkeling, kayaking, Polynesian activities, a full-service bar, a floating lagoon bar, and a delicious barbecue. In Bora Bora, guests can enjoy complimentary access to a private, white-sand beach with beach volleyball, sunbathing, snorkeling, paddleboarding, and refreshments. For more information or reservations, contact a professional travel agent, call 1-800-848-6172, or visit pgcruises.com. SOURCE: Paul Gauguin press release.